SUEZ Environnement ‘s Advanced Resource Recovery Technology (ARRT) facilities are leading the change from traditional waste disposal to economically sustainable resource recovery solutions. ARRTs offer a more sustainable, higher order resource recovery solution than waste disposal methods such as conventional landfills, bioreactor landfills and incineration. Using specialist technologies, their facilities recover and recycle valuable resources back into the economy. Organics can be composted for use in agriculture and horticulture to replenish severely degraded soils, while dry materials can be manufactured into alternative fuels that replace fossil fuels in our customers’ industrial furnaces. SUEZ Environnement currently owns and operates 7 ARRT facilities around the country – approximately half of all the ARRT facilities in Australia. KAPP Engineering has had a long relationship with SITA having been involved with the design and construct project for the Neerabup BioVision ARRT Facility and maintenance of the facility since its inauguration. KAPP has also been involved in the design and construct of the Bedminster technology based facility in Canning Vale, WA managed by the SMRC. 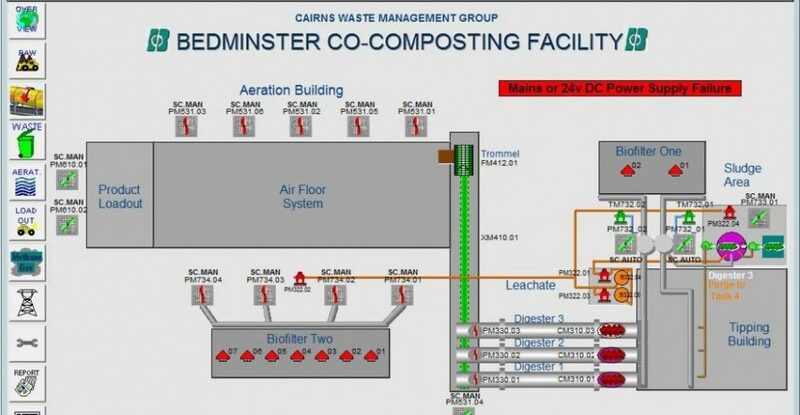 Given the considerable experience at KAPP in the support of similar waste facilities SITA contracted KAPP to upgrade the legacy Process Control System at its Bedmister technology ARRT Facility in Cairns, Queensland. The PCS was in a neglected state using a legacy / obsolete Schneider Modicon Quantum PLC and an unsupported version of CitectSCADA. Many additional PCS improvements made on site included the addition of disparate systems and considerable redundant equipment was still shown on SCADA making the SCADA system almost unusable. 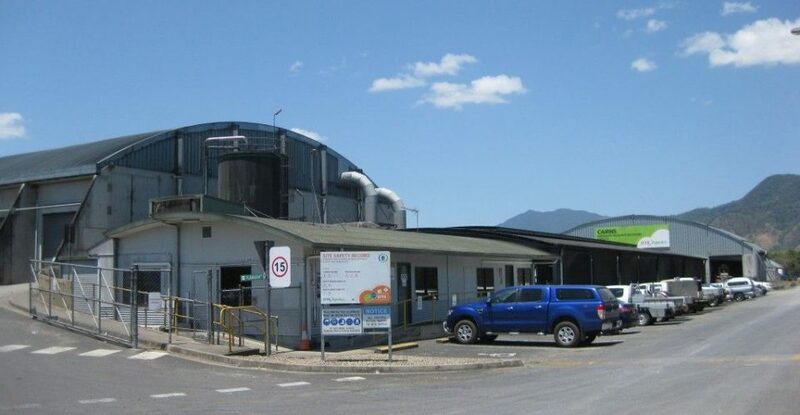 Given a renewed contract agreement to support the local council in Cairns with waste disposal for the next 10 years SITA opted to bring the plant up to date to ensure continued reliable operation of the system. 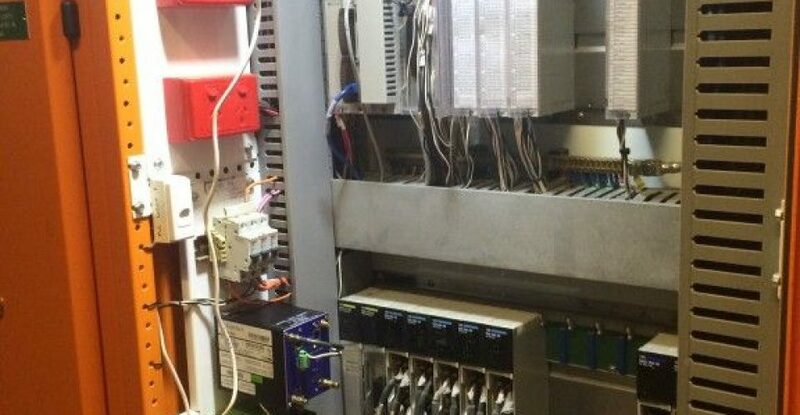 SITA required a complete turnkey solution which included the management of local electrical subcontractors for the installation and a cut over period of four days to reinstate an updated SCADA system with a new PLC. KAPP provided a complete turnkey solution for SITA Queensland which included design, supply and installation. The initial phase of the project was to generate detailed functional descriptions for both the control systems upgrade as well as electrical works. The proposed solution included retention all of the existing I/O modules as these were current and still supported. The PLC was originally programmed with Schneider Concept and utilised an obsolete Modicon Quantum PLC. Further, the media converters and the main ethernet switch on site were of residential grade. The SCADA system utilised multiple Windows XP PCs running CitectSCADA 5.42 distributed throughout the plant. The wet areas of the plant also included standard office grade PCs which were not operational. The upgrade included the migration of the PLC project from Concept to Unity 8 with a current model CPU. The rack expansion method was also changed from a obsolete coaxial cable based method to a current rack expansion method. All redundant code was removed post conversion to ensure that the PLC code only reflected what was currently installed on site. 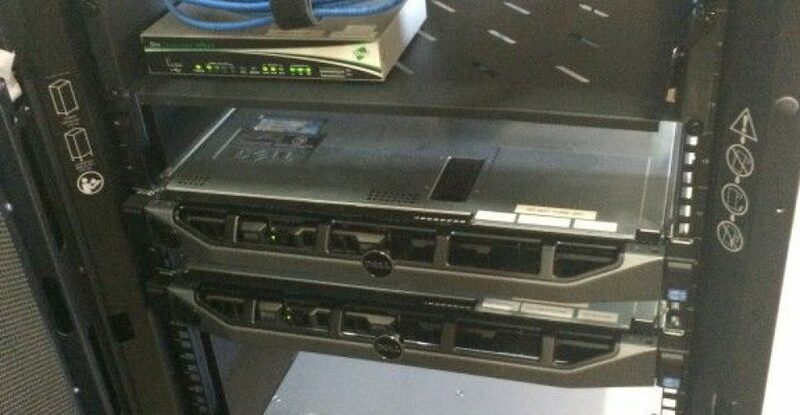 The SCADA upgrade consisted of a major overhaul whereby a new server rack with two Dell R320 servers was installed with a rack mounted network APC UPS providing backup power and the ability for the servers to do a graceful shutdown in the event of power failure. The SCADA servers utilised VMWare ESXi with primary and standby CitectSCADA 7.40 instances running as a virtual machines on Windows Server 2012 R2. The Engineering Software was installed on a separate Windows 8 virtual machine. The MCC SCADA client utilised a thin Dell Wyse client enabling remote access to the server PCs. 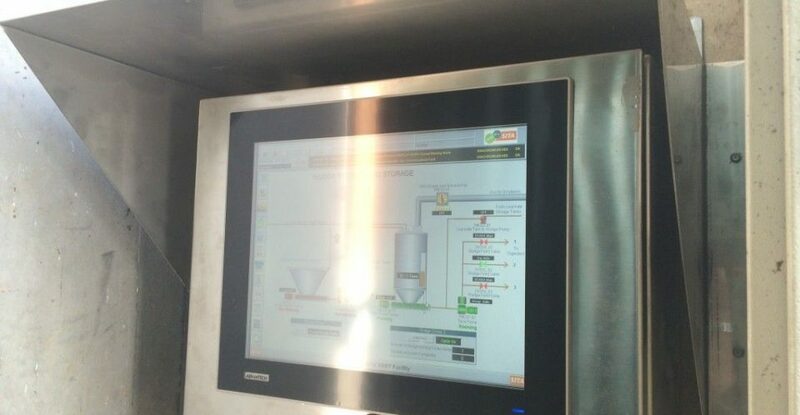 The field mounted PCs at both the Discharge and Tipping floors was converted to IP68 Advantech Touch Screen Panel PCs installed in marine grade stainless enclosures. New industrial grade media converters and ethernet switch were also supplied and installed. 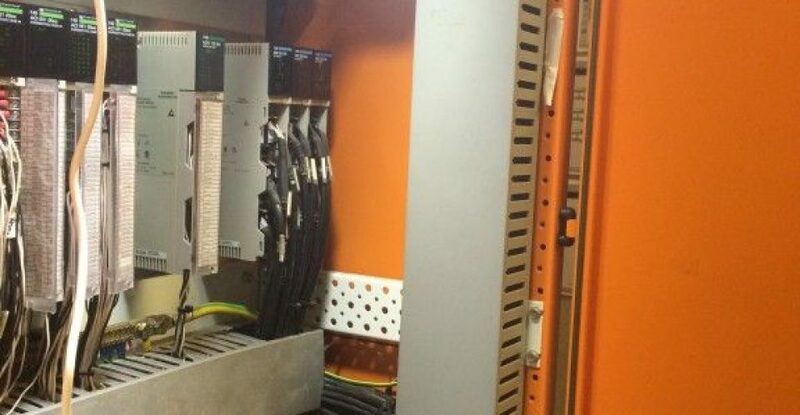 The 24VDC MCC supply was also upgraded from a single 240VAC to 24VDC system to a redundant 24VDC system. The shutdown period was scheduled for a minimal four days so as to ensure minimal production downtime. Due to comprehensive in house testing and meticulous planning and execution by KAPP Engineering the project was delivered on time and on budget. KAPP continues to work with SITA on Stage 2 of the project which involves the integration of the independent systems for Primary Screening, Final Screening and Compost Fans which is estimated to be completed in the next two years. KAPP provides remote access based support on a 7 x 365 basis to support both SITA facilities in Cairns and Neerabup.